Easter School Holiday Workshops – BOOK NOW! What is a Bricks 4 Kidz workshop like? KIDS ON THE COAST REVIEW – CLICK HERE! 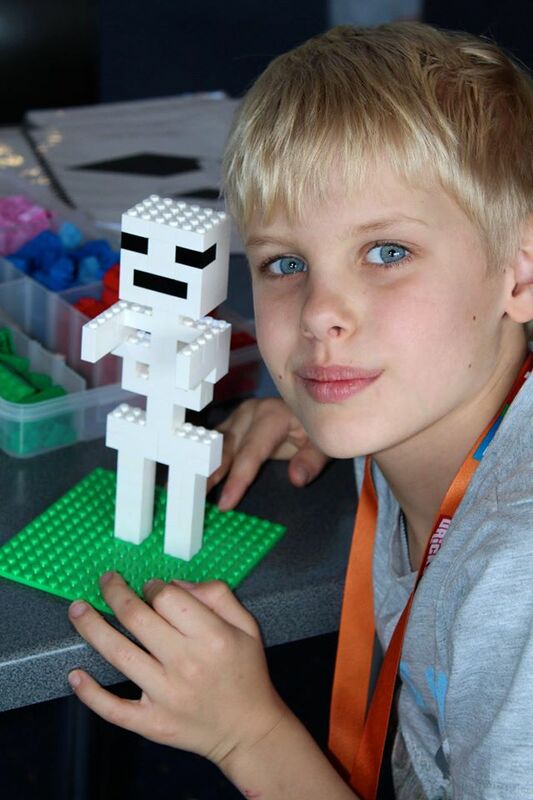 BRICKS 4 KIDZ® school holiday workshops using LEGO® Bricks are a fresh and fun way for kids to spend their break on the Sunshine Coast. With specially-created BRICKS 4 KIDZ® models, LEGO® games, and plenty of time for free-play, the kids are always having fun. Our school holiday programs are designed for kids ages 5 – 11 and are staffed by trained, screened BRICKS 4 KIDZ® instructors. Children will work and play with designated LEGO® Technic pieces such as gears, axles, electric motors and more! Themes are inspired by Star Wars®, Minecraft®, Pokemon®, Transformers® plus JUNIOR ROBOTICS and ADVANCED ROBOTICS WITH LEGO® MINDSTORMS. The kids really loved it and wanted to go every day. Thanks for putting on a high quality service that appeals to all ages. We look forward to seeing you next holidays! The programs will run on weekdays from 9am – 4pm. Parents drop their children off. We never have more than eight children per staff member. Instructors are Trained and Screened. The day is broken up into LEGO® sessions and active break-times. Food is NOT included, please pack a nut-free lunch,snacks, sunscreen and a hat. They think it’s Fun, you know it’s Educational! What are the benefits of our workshops? We always offer an Early Bird preview to families on our mailing list before each holiday program! Please join our mailing list here to get early notice of when spots are available.